2019 Cultural Tourism Festivals at a Glance! For 2019, the Ministry of Culture, Sports & Tourism has selected 41 representative Korean cultural tourism festivals to be divided into four categories: 3 Premier Festivals, 7 Best Festivals, 10 Excellent Festivals, and 21 Up-and-Coming Festivals. The selected festivals are popular regional festivals acknowledged by the government to show great potential in future growth and development. The three premier festivals are Muju Firefly Festival, Mungyeong Traditional Chasabal Festival, and Sancheong Medicinal Herb Festival. In addition, five festivals have been selected as global promotion festivals: Hwacheon Sancheoneo Ice Festival, Gimje Horizon Festival, Boryeong Mud Festival, Andong Mask Dance Festival, and Jinju Namgang Yudeung (Lantern) Festival. Check the list below for more festivals and details to look forward to in 2019! 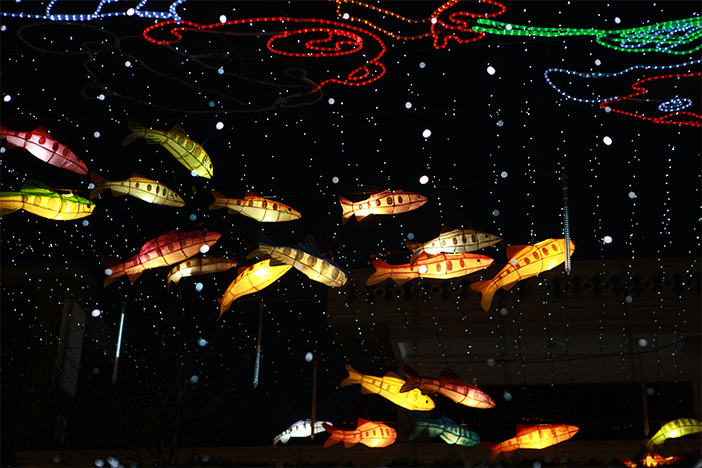 Hwacheon Sancheoneo Ice Festival is a winter event that revolves around sancheoneo (Masou salmon), ice and snow. Every year, the festival draws about 1 million visitors and it is considered to be the nation’s largest and most popular winter festival due to the variety of programs and fun activities offered. The most popular programs include ice fishing, ice soccer, and ice sledding. Other fun events include creative sled making contest and raffle giveaway. Gimje Horizon Festival highlights the beautiful natural environment of Gimje and the rice produced in the region. A region heavily centered on agriculture and rice production, Gimje offers a sight of expansive fields touching the sky over the horizon, hence the name of the festival. During the festival period, visitors can experience catching grasshoppers, harvesting rice, maneuvering a cart and other exciting agricultural-related hands-on activities. 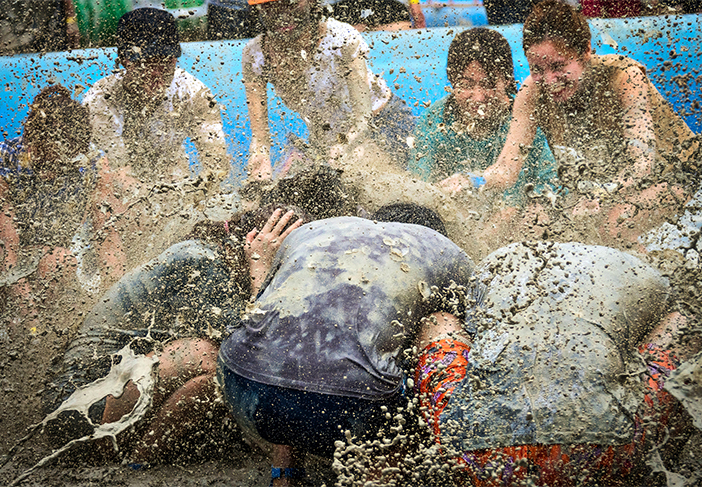 An internationally recognized summer festival in Korea, the Boryeong Mud Festival takes place annually at Daecheon Beach, the largest beach on the western coast. As the name suggests, the festival focuses on the use of mud with facilities including mud slides, a huge mud bath and many other mud-related programs for all visitors to enjoy! Jinju Namgang Yudeung (Lantern) Festival originates from lighting lanterns on the Namgang River during the Jinjuseong Fortress Battle of the Imjin War (1592-1598). The lanterns were originally lit by people inside the fortress as a way to communicate with their family members outside but were gradually seen as a form of honoring the men of merit who died during the war. 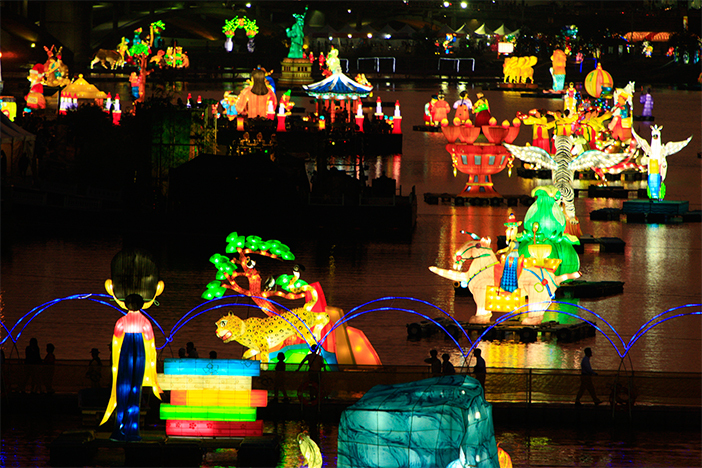 The festival exhibits beautifully and uniquely designed lanterns and offers various hands on activities. With the theme of tal (Korean traditional mask) and mask dancing, this is a unique cultural festival that has been introduced by many international broadcasting networks, including BBC and CNN. 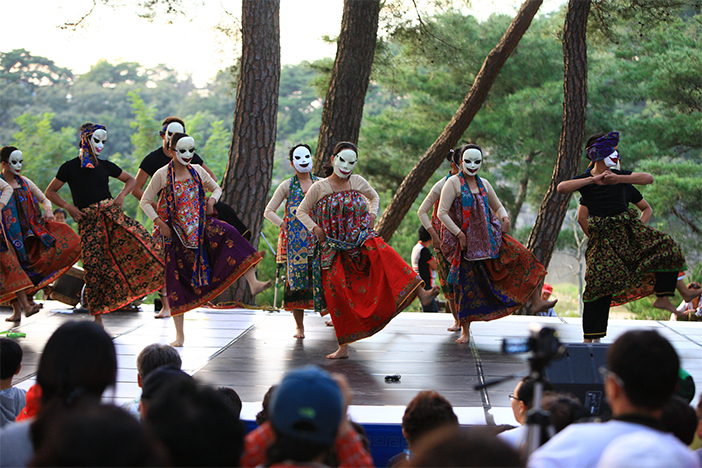 The festival provides a chance to learn traditional dance as well as watch mask dance performances from not only Korea but also from other countries around the world. Muju Firefly Festival is an environment-themed event that celebrates fireflies. Visitors to the festival will have a chance to participate in the nighttime exploration program to visit and observe the natural habitat of fireflies. A range of hands-on cultural activities also takes place during the festival period. Mungyeong Traditional Chasabal Festival offers visitors an opportunity to gain a deeper appreciation for the unassuming beauty of chasabal (traditional tea bowls) made from sand soil. 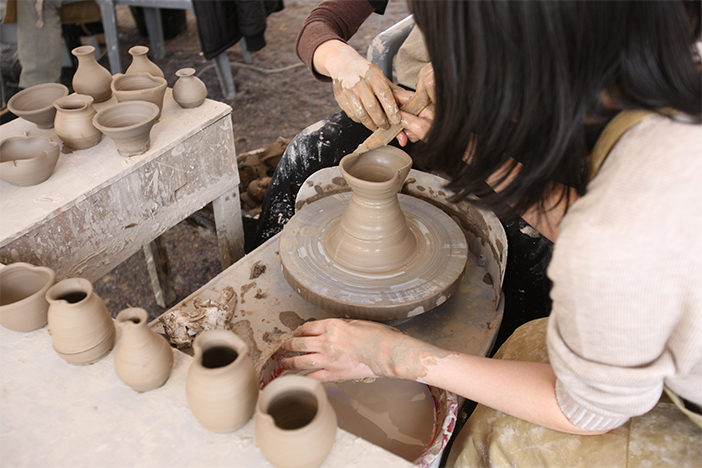 Tea and pottery-related hands-on programs are facilitated by local potters from the Mungyeong region. The home of UNESCO-designated medical encyclopedia Donguibogam, Sancheong is famous as a home to highly skilled doctors. In the past, before the development of modern medical technology, doctors relied on medical herbs and records on Doguibogam to treat patients. In appreciation of the medicinal herbs found in Jirisan Mountain, Sancheong Medicinal Herb Festival takes place every year, offering excellent opportunities for visitors eager to improve their health through natural remedies. 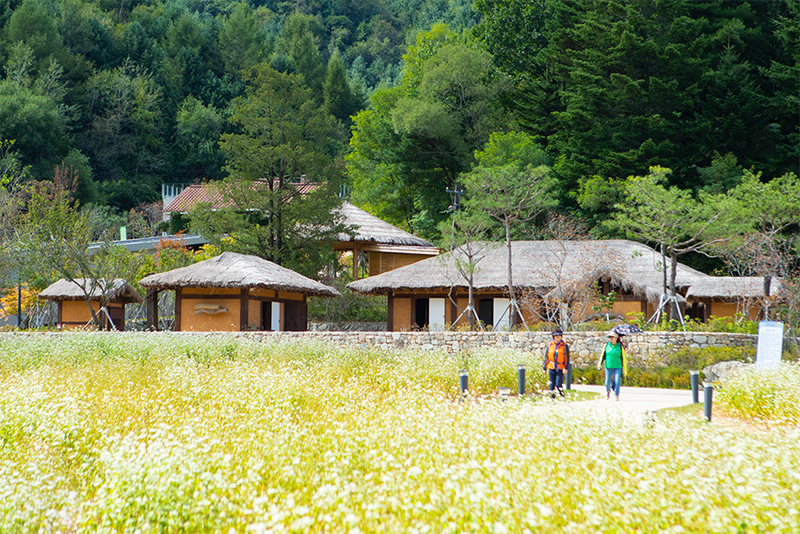 Visitors will be exposed to a wide variety of Korea’s medicinal herbs and medical traditions. If you are interested in traditional remedies or staying healthy, this is a unique event not to be missed! * Festival dates and venues are subject to change. Please confirm details before visiting. 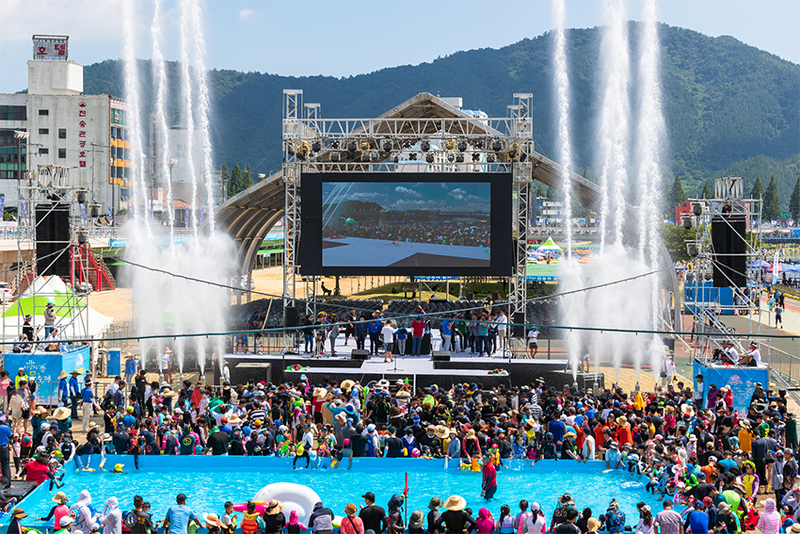 Pyeongchang Trout Festival takes place at Odaecheon Stream and is packed with fun activities perfect for family outings. Popular programs include ice fishing and barehanded fishing. Visitors can also cook and eat their fish on the spot. The festival also offers popular winter activities such as snow sledding, traditional ice sledding, and ice-skating. Early in the New Year based on the lunar calendar, one of the many hills on Jeju Island is set ablaze to wish for a plentiful harvest and good year. The festival originated from Jeju's traditional farming custom of burning rice fields and vegetable gardens in early spring to exterminate pests so that the cows can feed on healthy grasses, and ease cultivation. 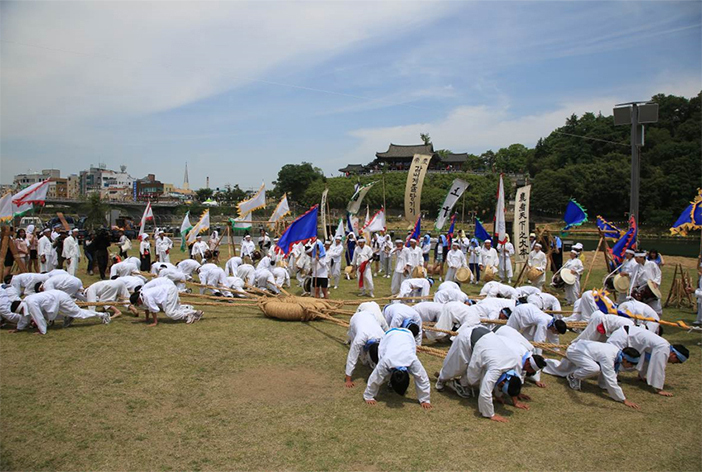 The festival also offers Jeju’s traditional folk games that are both fun and easy to learn. Jindo's sea-parting is a unique natural phenomenon that occurs every year. When the tide is low, a 40-meter wide path is revealed, allowing one to walk from one point to another. This phenomenon can be witnessed from February to June on the lunar calendar, and lasts only for an hour. 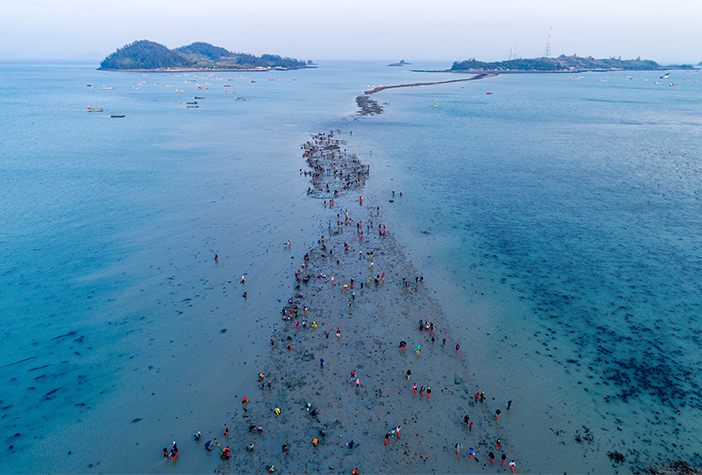 Jindo Miracle Sea Road Festival is held when the tide differences are at their peak, rendering a natural stage for the festival's great selection of events, such as ganggangsullae (traditional Korean circle dance play), ssitgimgut (shaman ritual), deullorae (farmer’s song), and more. 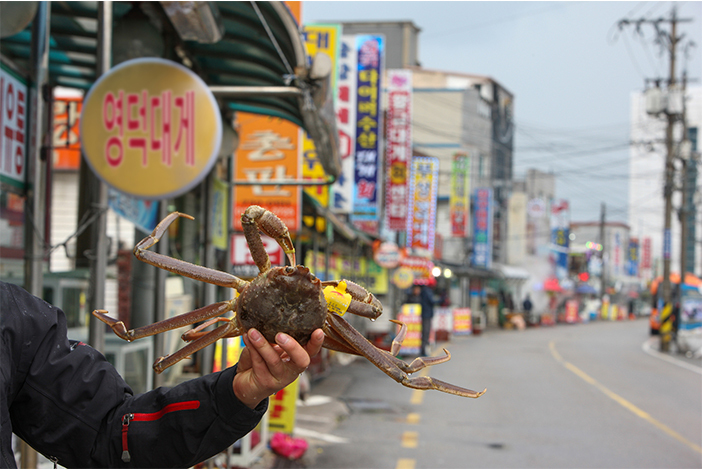 Yeongdeok Snow Crab Festival takes place in Yeongdeok, the largest snow crab producer in Korea. 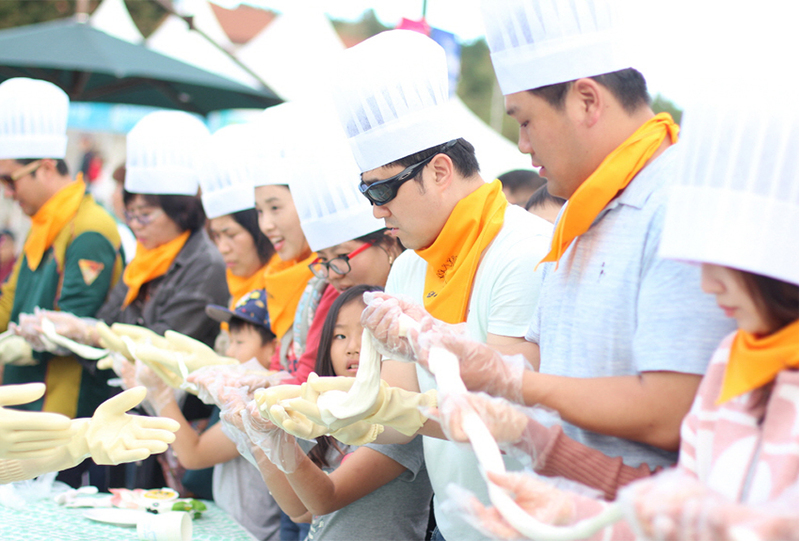 The festival offers diverse programs and food related to Yeongdeok snow crab. Notable menus at the food stalls include snow crab ramyeon, snow crab noodles, and snow crab sauce bibmbap. As for activities, visitors can participate in snow crab running competition and snow crab catching experience. Yeongam Wangin Cultural Festival takes place in April when the cherry blossoms are in full bloom. The festival celebrates the achievements of Dr. Wangin, a Korean doctor who was known for his travel to Japan over 1,600 years ago to spread knowledge, culture, and art. This festival spans the area from Bongseondae to Sangdaepo History Park, creating a festive mood throughout the city for locals and tourists alike to enjoy. 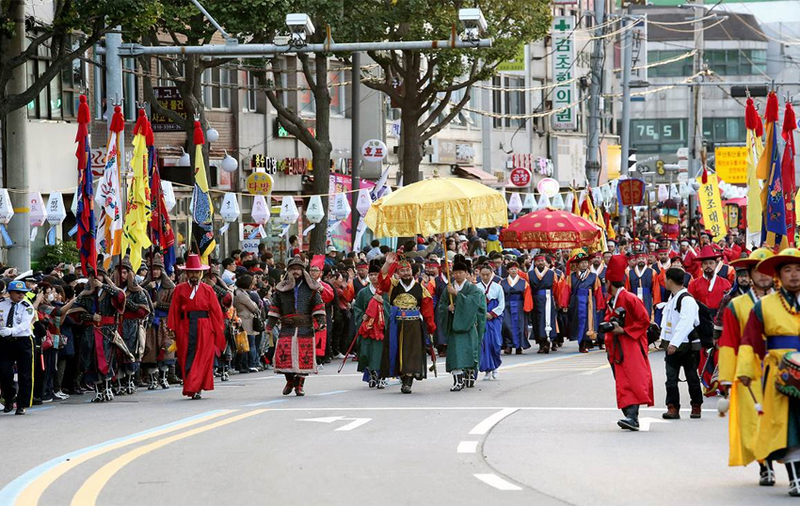 Goryeong Daegaya Festival introduces and promotes Daegaya, an ancient kingdom from around 1,500 years ago. The festival presents a range of hands-on programs focusing on the region’s rich history and rural background. An exhibition of relics from the Daegaya era shows lifestyle and wisdom of the Daegaya people. Damyang in Jeollanam-do is well known for its lush bamboo forest near the Yeongsangang River. 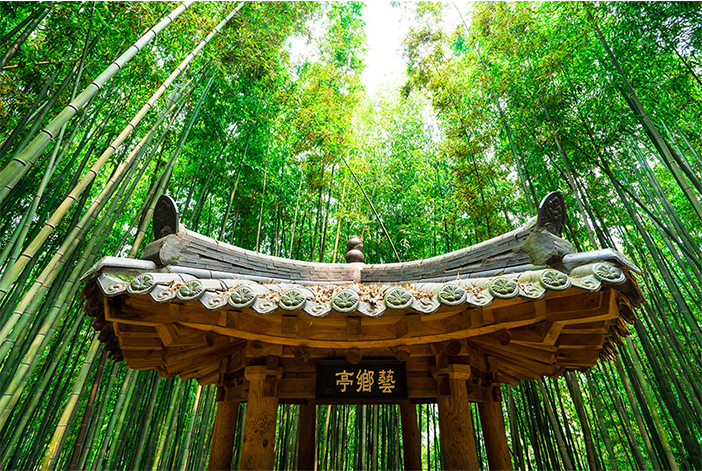 Damyang Bamboo Festival hosts a variety of hands-on activities such as bamboo drawing, traditional fishing with a bamboo basket, bamboo craft making, and many more. Visitors can also sample alcoholic beverages brewed in bamboo stalks and try dishes made with bamboo shoots. Korean traditional music performance, such as gugak, and street performances also take place to entertain visitors. Boseong Green Tea Plantation is the largest green tea producer in Korea. 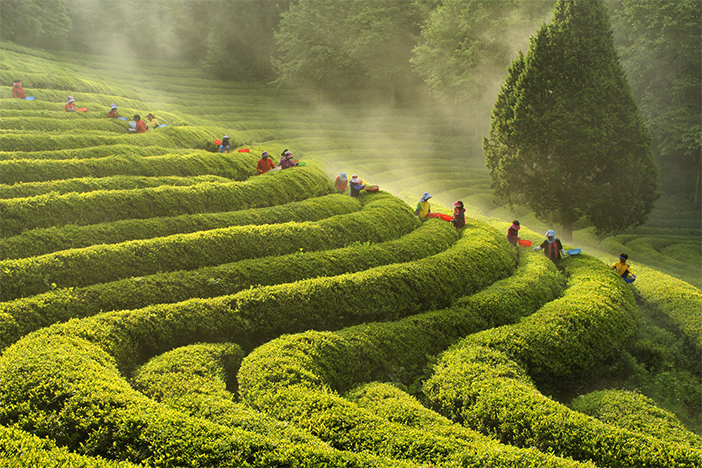 Boseong-gun annually hosts the Boseong Green Tea Festival to promote Korea’s tea culture, which has now become a popular attraction among both domestic and international travelers. Visitors to the festival will get a chance to pick tea leaves, make green tea, learn traditional tea drinking etiquette and participate in craft making activities using green tea. The yangnyeongsi (Oriental medicine market) in Daegu is known for its rich history and hanbang (traditional Korean medicine) culture. The Daegu Yangneongsi Traditional Medicine Festival has become a signature celebration that promotes traditional Korean medicine worldwide. Throughout the festival, visitors can learn the history of traditional Korean medicine and experience traditional medical treatments. 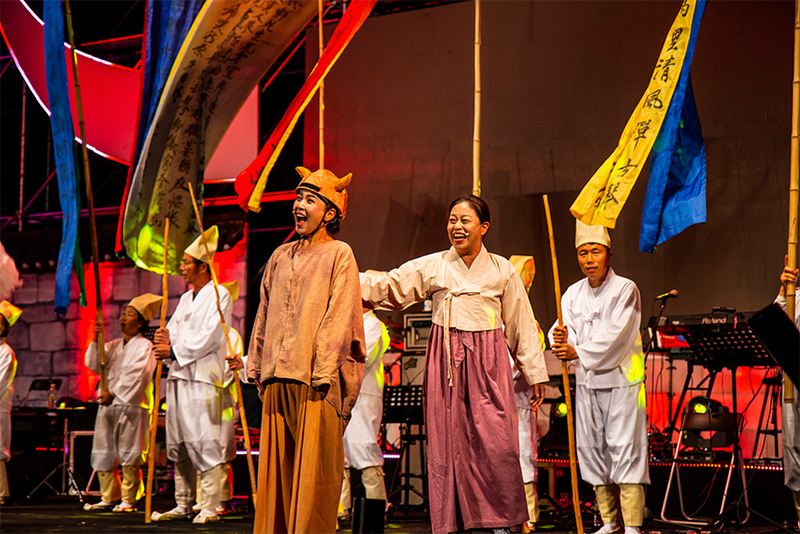 Miryang Arirang Festival is a representative folk festival of Gyeongsangnam-do that focuses on Miryang Arirang, a very well known folk song and one of the nation’s top three variations of Arirang along with Jeongseon Arirang and Jindo Arirang. 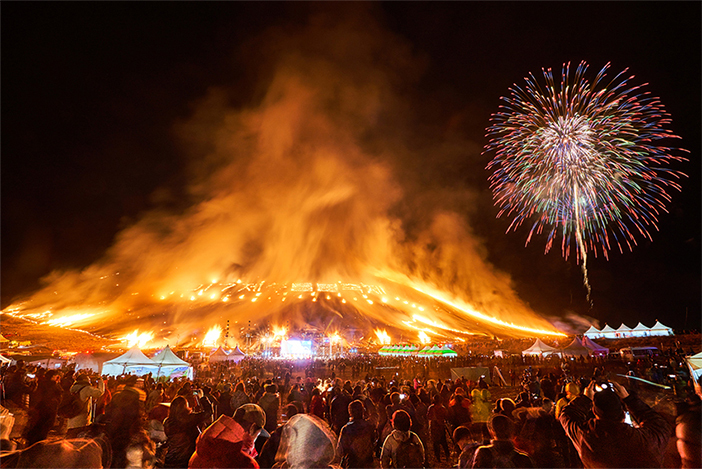 The festival holds dynamic events, and visitors can enjoy a music festival as well as experiences related to Arirang, a firework show, and performances of other intangible heritages. 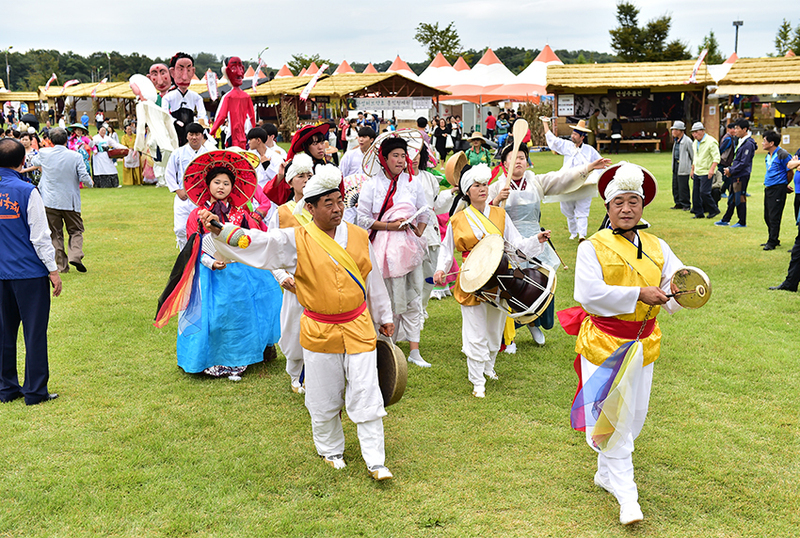 Eumseong Pumba Festival recreates the customs and living conditions of the poor people who lived during the Joseon Dynasty. The people would travel around the country, spreading laugher and smiles in exchange for food or money. Visitors can enjoy some of these old traditions as well as watch modern presentations of the pumba life. Chuncheon International Mime Festival is a leading performing arts festival in Korea and its fame has now spread across the globe. Each year, renowned artists from home and abroad give outstanding live performances. During the day, fun water activities and performances will help beat the heat, while breathtaking fire shows provide entertainment at night. On the weekends of the festival period, performances are held practically nonstop. 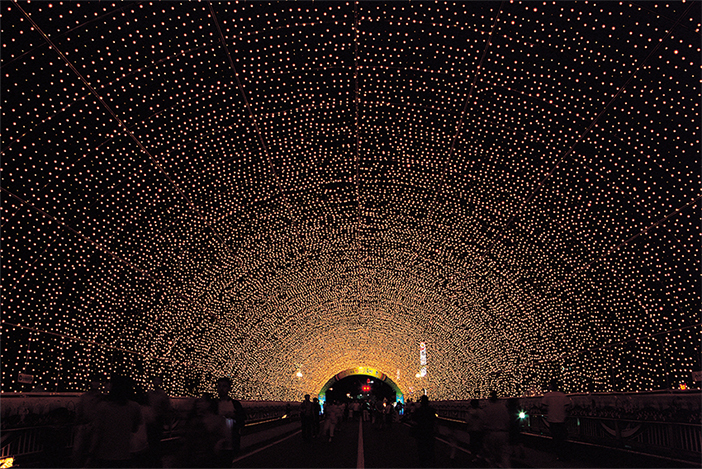 Pohang International Fire & Light Festival takes place in Pohang, the city of fire and light. Now an international fireworks show, the festival first began when the renowned steel company POSCO hosted a fireworks show with a theme of “Light and Fire,” symbolizing Pohang’s Yeongilman Bay and a blast furnace. 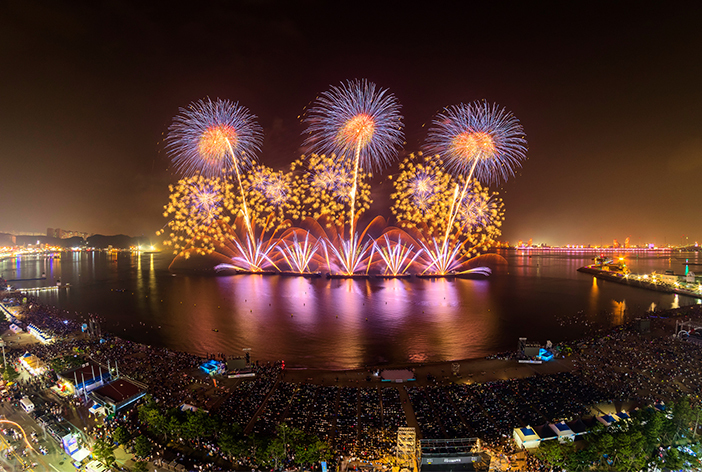 Fabulous fireworks will embroider the Pohang’s night sky over Pohang’s seawater while exciting performances and activities continue to entertain visitors on land. Hansan Ramie Fabric Cultural Festival is an experiential venue to learn about the excellence and historical value of UNESCO-recognized Hansan ramie fabric, a traditional Korean natural fiber. Visitors will be able to observe traditional culture of Hansan ramie fabric that has continued for 1,500 years in Seocheon-gun and enjoy handicraft and clothes made with the ramie fabric. Hansan ramie fabric was given as a regional tribute to the king and has continued on as a local specialty product that is notable from past to present. 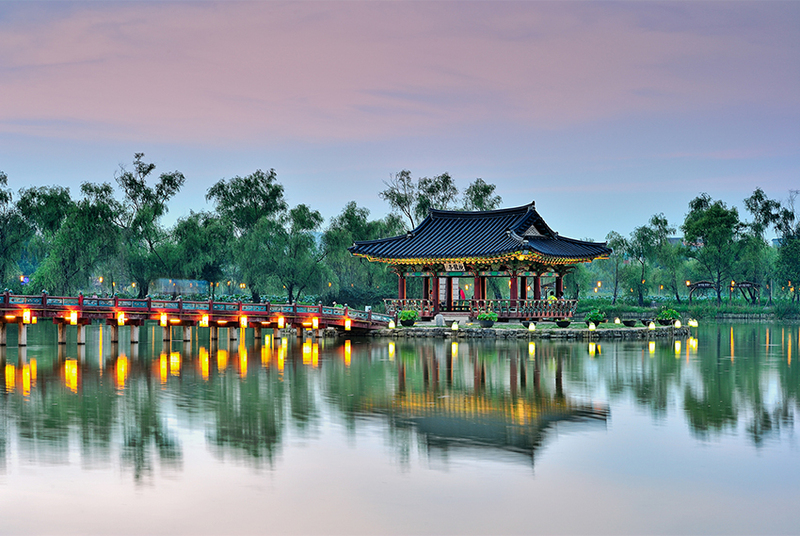 Buyeo Seodong Lotus Festival is held around Gungnamji Pond, an artificial pond constructed during the reign of King Muwang of the Baekje Kingdom (18 BC–AD 660). 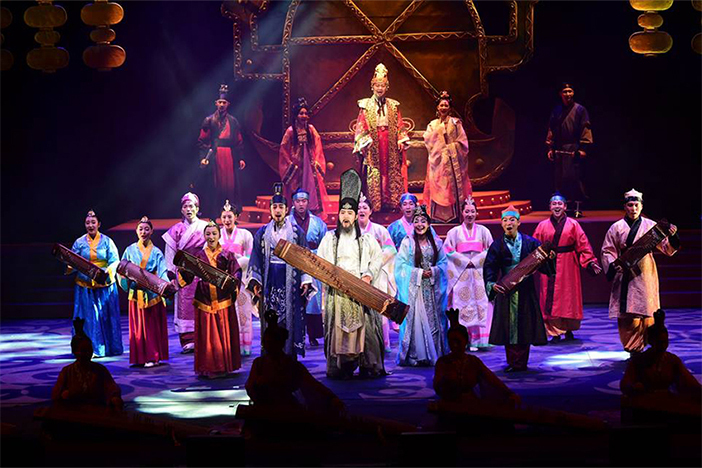 A performance based on the love story between Prince Seodong (King Muwang's name in his youth) and Princess Seonhwa is the highlight of the festival. Events during the festival include face painting, lotus leaf tea sampling, lotus flower soap making, lotus flower photo and painting exhibitions, and a variety of performances. 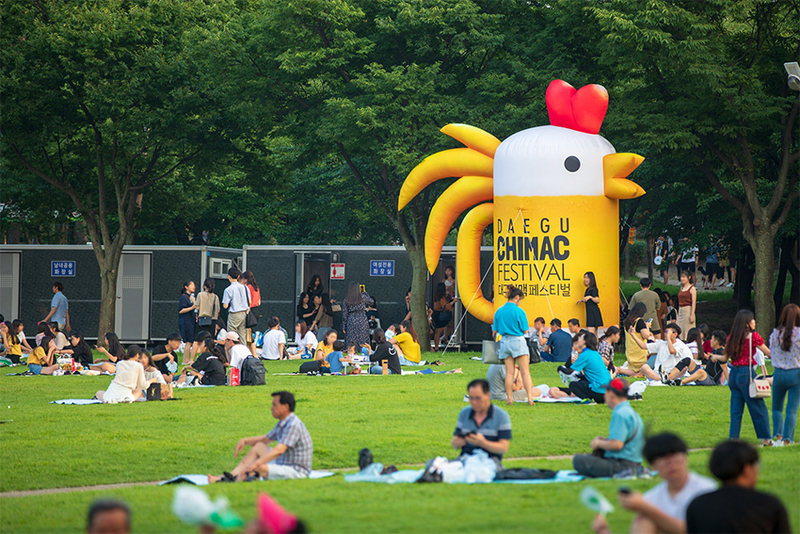 Daegu Chimac Festival celebrates the combination of chicken and beer, called chimaek in Korean, at Daegu’s Duryu Park. The greatest perk of this festival is the opportunity to try out all sorts of chicken and beer. After an extravagant opening ceremony, performances will be held spontaneously on outdoor stages and grass fields, welcoming festival attendants to relax and listen to live music while enjoying their chimaek. Visitors can also participate in water activities and forget the heat. Jangheung County in Jeollanam-do is known for its water resources as it is located near Boseongman Bay and the lake created by the Tamjingang River and Jangheung Dam. 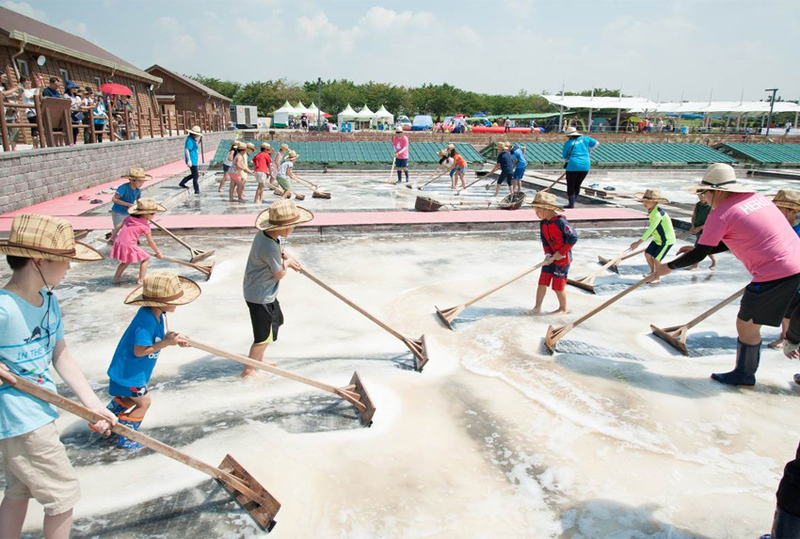 Held every summer, Jeongnamjin Jangheung Water Festival is unlike other festivals, which mainly feature exhibitions and performances, as it highlights summer and water through a variety of games and hands-on programs. Visitors can also enjoy riding a wooden boat, rafting, water bicycles, gigantic pool, making a water gun, and other fun activities. 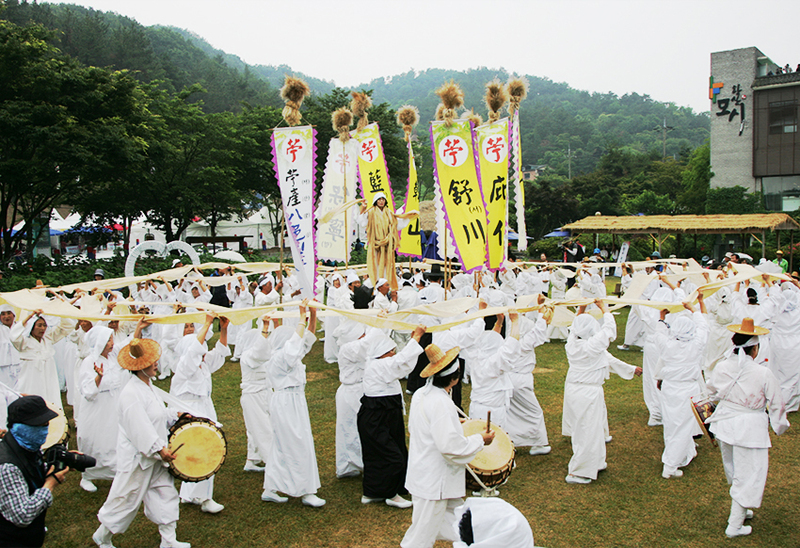 Bonghwa Sweetfish Festival takes place in Bonghwa, a well-preserved natural habitat surrounded by mountains and trees, and filled with clean water and fresh air. Euneo, or sweetfish, only live near the source of clean and clear streams. The most popular program every year is none other than barehanded fishing in the Naeseongcheon Stream. In addition, visitors can engage in other activities such as tug-of-war in water and aquatic sports. Tongyeong Hansan Battle Festival commemorates the patriotic spirit of Admiral Yi Sun-shin, a Korean naval commander noted for leading victories against the invading Japanese Army during the Imjin War (1592-1598). The festival presents a variety of hands-on programs such as marine sports, geobukseon (turtle ship) making, bow making, and many more. 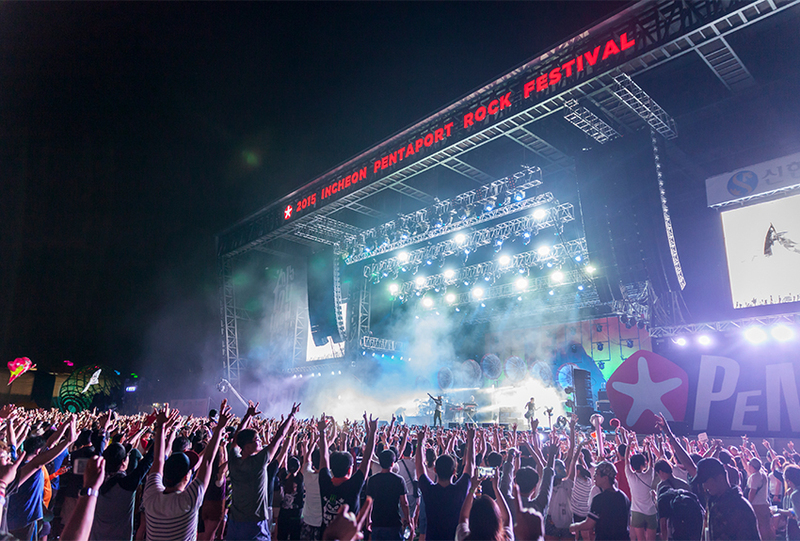 Incheon Pentaport Rock Festival is a prominent rock festival in Korea that presents performances by a wide range of artists. The music festival features new and local artists, performance by community groups, music businesses and other events. The rock festival was even ranked 8th among the best music festivals in the world by UK Magazine, Time Out. 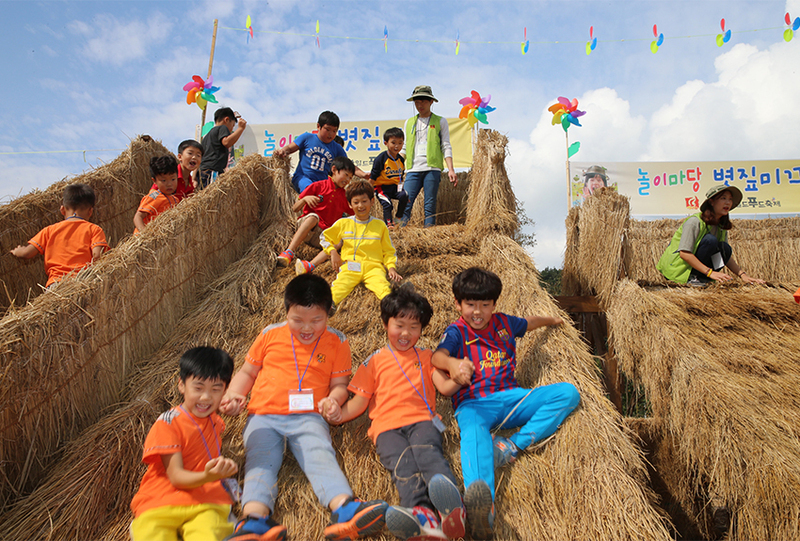 Pyeongchang Hyoseok Cultural Festival takes place at Lee Hyo-seok Culture Village in Pyeongchang, the setting for Lee Hyo-seok's famous novel, "When Buckwheat Flowers Bloom." The festival highlights different locations depicted in the novel, as well as the area's folklore, and offers cultural programs and activities related to the novel. The festival is held at the most splendid time of the year when the buckwheat flowers blanket the entire Bongpyeong area. Don't miss the wide range of foods made from buckwheat, exciting programs, and the vast plain of buckwheat flowers. 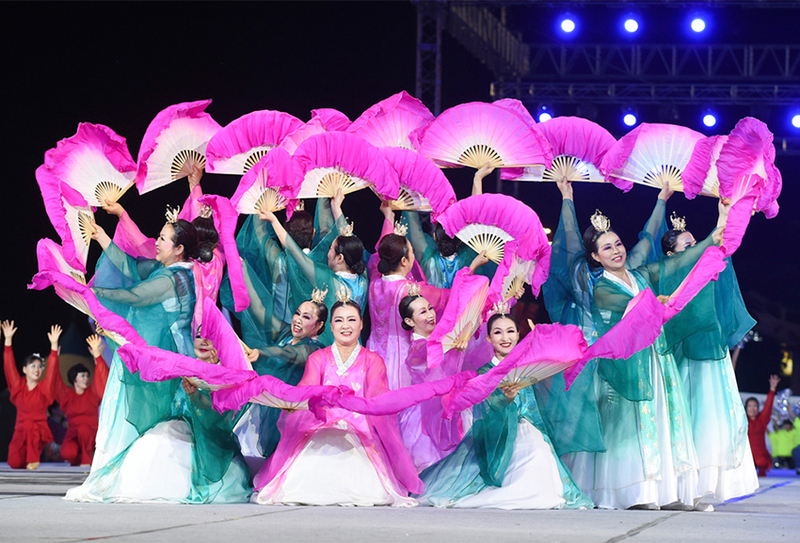 Dancing to the exciting rhythm, Wonju Dynamic Dancing Carnival features several global programs. The festival's main program “Dancing Carnival” turns the street into a stage for a grand parade featuring a variety of folk dances and magnificent military marching bands from international teams across the globe, as well as the local citizens' passionate performances. Goesan in Chungcheongbuk-do is famous for red pepper cultivation. Goesan Chili Pepper Festival features various red pepper-related events such as an exhibition of red peppers from around the world, red pepper cutting and eating contests, and a cooking competition. A range of celebratory performances and folk games are also scheduled for the festival. Siheung Gaetgol Festival allows visitors to learn about nature in a fun way at the unique eco art playground located within Siheung Gaetgol Eco Park. 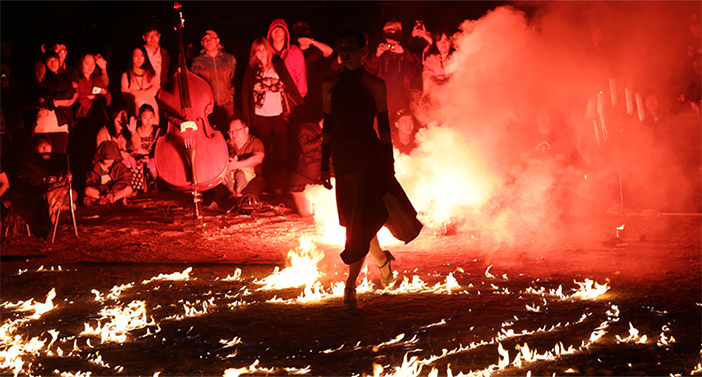 The festival aims to raise environmental awareness through performances and programs such as musical playground, salt-making experience, art market, insect experiences and more. 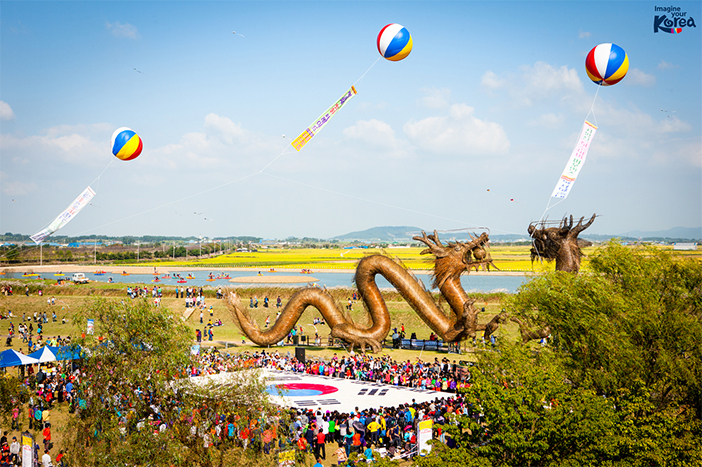 Wanju Wild Foods Festival is held to spread knowledge of Wanju, a city where one can experience cheonryeop (river-fishing), Korean wilderness, and nostalgia. The festival also provides nature-friendly food experiences using local agricultural products, along with varied wild plants and animals from Wanju. This festival aims to give visitors a feeling of nostalgia of the old times by using traditional recipes and cooking methods as well as through diverse hands-on food programs surrounded by nature. Gwangju Chungjang Festival is a cultural celebration that epitomizes the spirit of the youth and the good old days of the '70s and '80s. A wide range of events take place during the festival period including a street parade by the locals, an exhibition reenacting the life of the ‘70s and ‘80s, traditional games, local dish sampling, a folk song festival, intangible cultural heritage performances, and street performances. Anseong Namsadang Baudeogi Festival preserves the tradition of Namsadang, a troupe of entertainers who traveled around the country, and Kim Am-deok, the only female leader in Namsadang history. 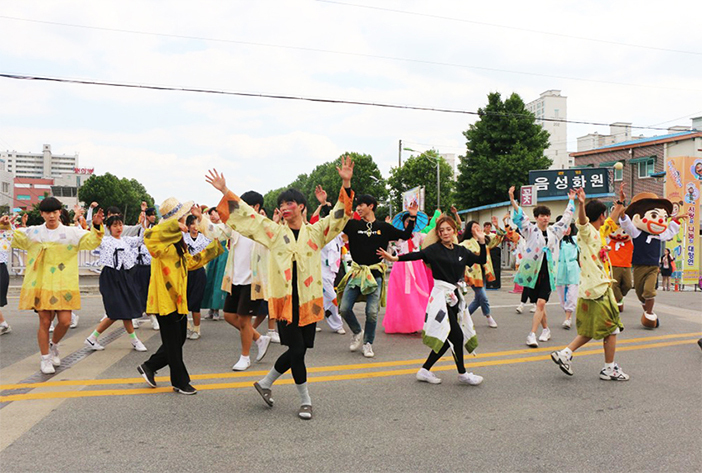 This festival features more than hundred traditional and contemporary performances, reenacting the old bustling market scenes of the Joseon Dynasty. In addition, visitors can also look forward to parades, performances, hands-on activities, exhibitions and contests. 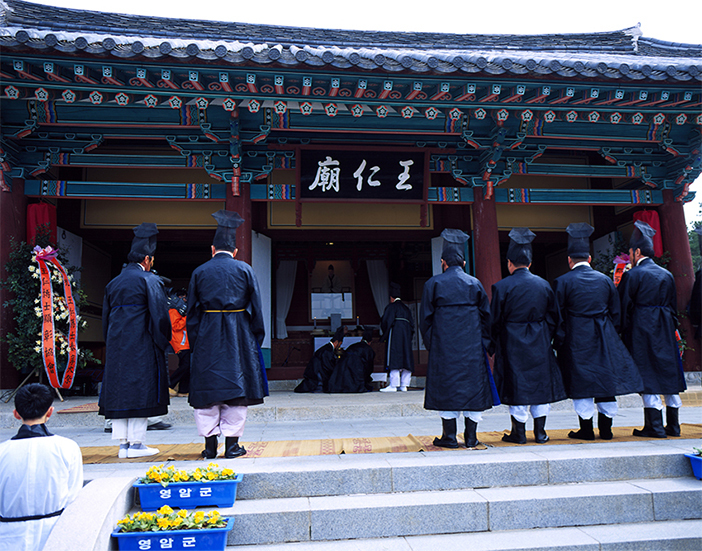 Programs include a Baudeogi memorial ceremony and opportunities for visitors to personally experience traditional folk games, explore popular local delights of Anseong city and more. 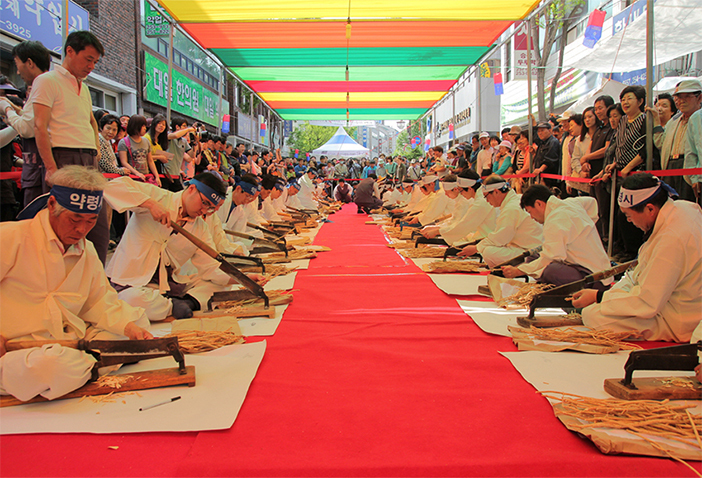 Hoengseong Hanu Festival takes place annually to promote quality Korean beef from cows raised in Hoengseong. Visitors can observe and buy beef products as well as enjoy grilled beef and beef deboning performance. Other events include cow photo exhibition, ssireum (traditional wrestling) tournament, and singing contest. 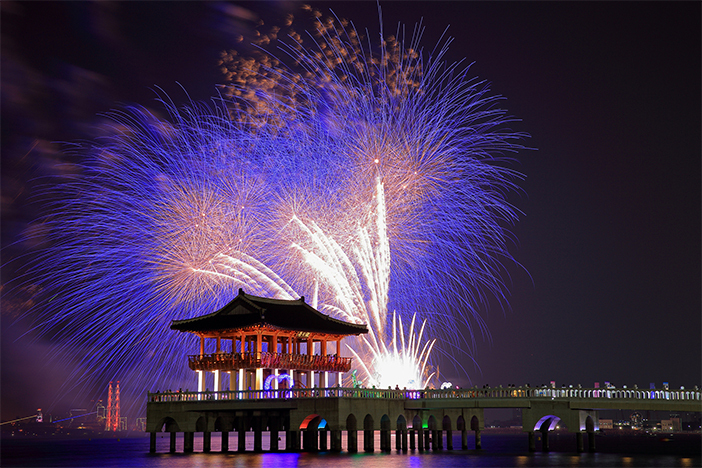 Cultural performances and fireworks show will continue to entertain visitors at night. The Gangjin area in Jeollanam-do has long been known for its blue celadon production, which was made possible by advanced sea transportation as well as the right ingredients and conditions for celadon production such as local clay, fuel, water, and a favorable climate. 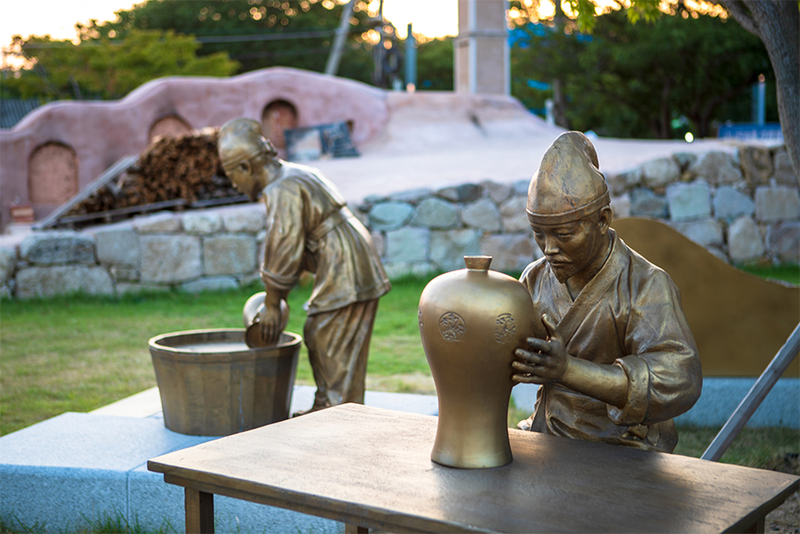 Gangjin Celadon Festival has gained acclamation among visitors for showcasing the excellence and uniqueness of Goryeo celadon. Among the several hands-on programs offered, popular activities include stepping on clay and making celadon. 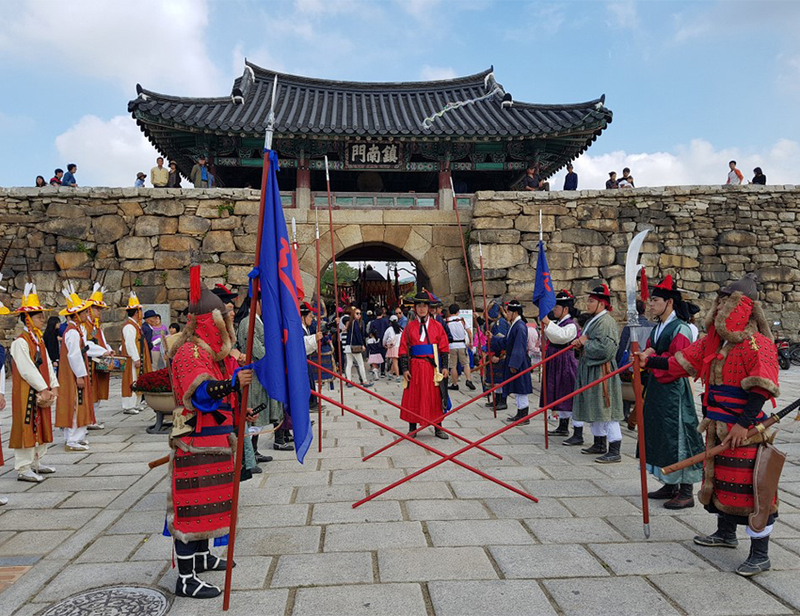 Suwon Hwaseong Cultural Festival is held throughout Hwaseong Fortress, a UNESCO World Cultural Heritage site built to commemorate King Jeongjo’s filial piety and his dream of national prosperity and military power. 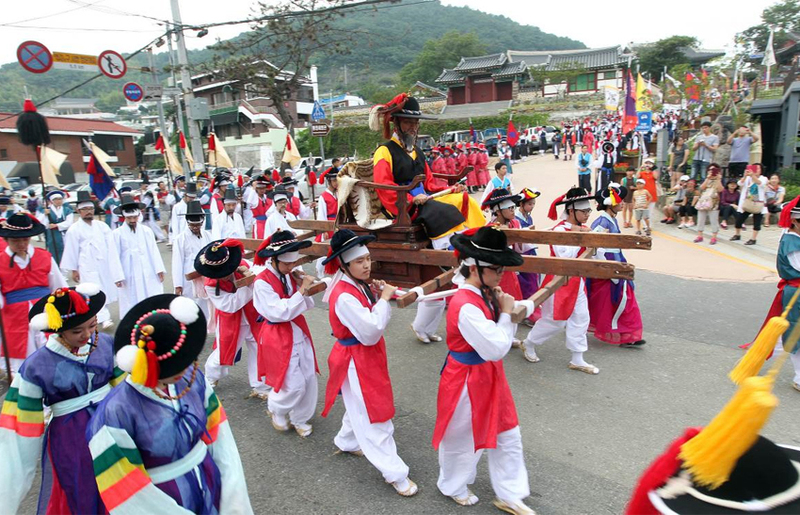 Festival programs include King Jeongjo’s procession to the royal tombs, jinchanyeon for Hyegeonggung Hong (the 60th Birthday Feast for King Jeongjo's mother), art performances, a lighting festival, cultural art programs, folk games, and more. Imsil is home to the first cheese-production company in Korea. In celebration of cheese, Imsil N Cheese Festival is held every October with various performances, cooking competitions using cheese, pizza making, dairy farming experience and other family-fun activities. Gochang Moyangseong Festival is held to honor the magnificence of the Moyangseong Fortress located in Gochang-gun, Jeollanam-do. 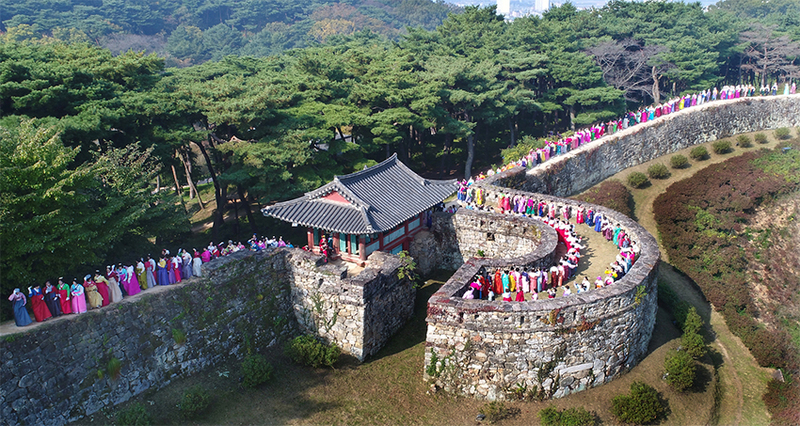 The fortress, now called Gochangeupseong Fortress, was built by the region’s citizens in order to defend against enemies during the Joseon dynasty. It is believed that walking on the fortress can grant a long and healthy life and thus many visitors can be seen at the fortress every year. Other programs available include dapseongnori (an event reenacting the scene of carrying rocks to build the fortress), Joseon dynasty military ceremony and traditional cultural hands-on activities. Haemieupseong Festival takes place in the city of Seosan, a historical city of culture along Korea's western coast. Haemieupseong Fortress is a great place to learn about Korea's historical past due to its heritage and relics found at the site. The festival provides a wide array of cultural events and history-related programs, namely gugak performance, fortress parade, military training and battle experience. 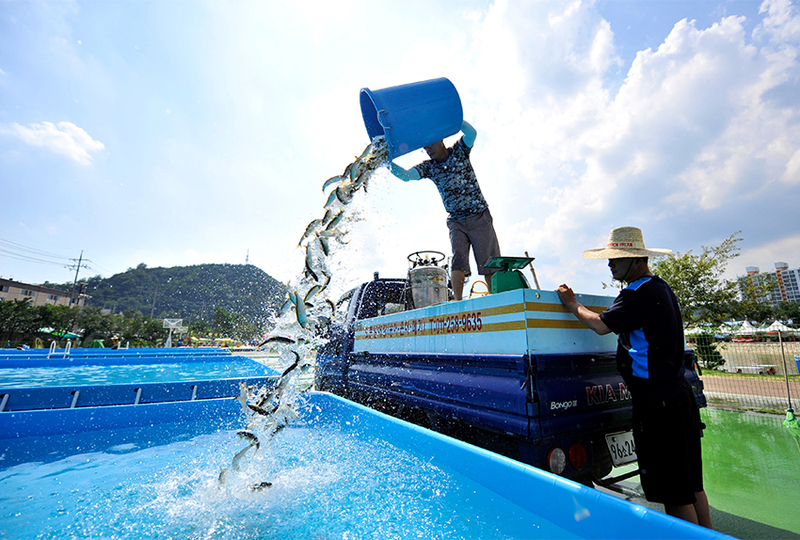 The area of Ganggyeong in Nonsan produces half of all fermented seafood available in the country. 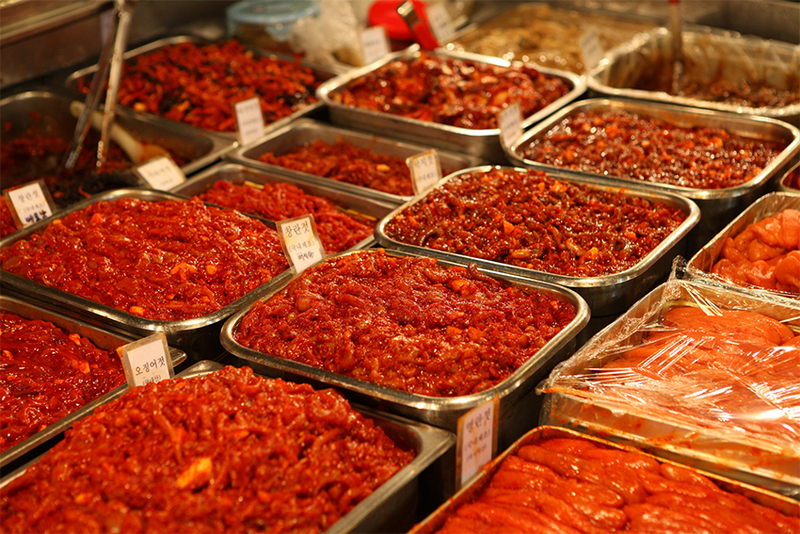 It is here that Ganggyeong Fermented Seafood Festival is held to offer visitors the chance to make and buy fresh fermented seafood. Additional activities include cooking programs with fermented seafood, crafting wish lanterns, and more hands-on activities. Since ancient times, Icheon's expansive fields have offered the perfect conditions for growing rice, continuing to be one of the major rice producers in Korea. 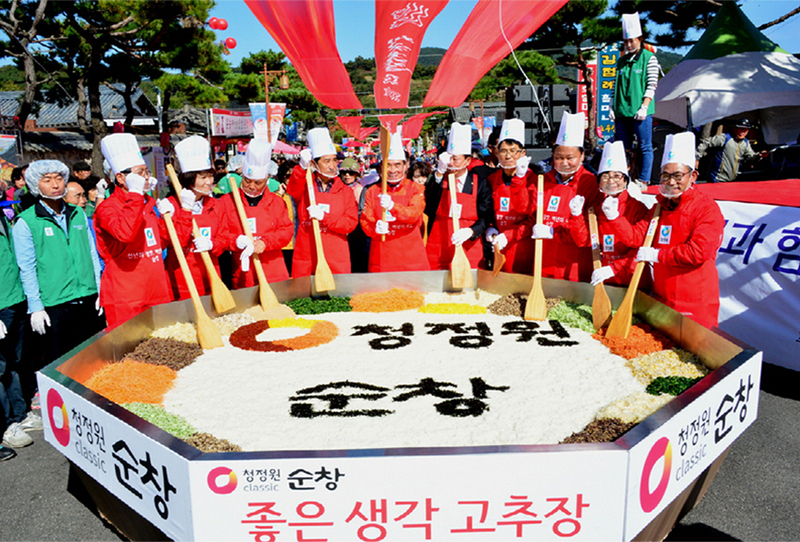 Therefore, the Icheon Rice Festival, combining two of Icheon's symbols, rice and agriculture, is held in October to celebrate the year of good harvest. Visitors can experience farming activities as well as carpentry and cooking. 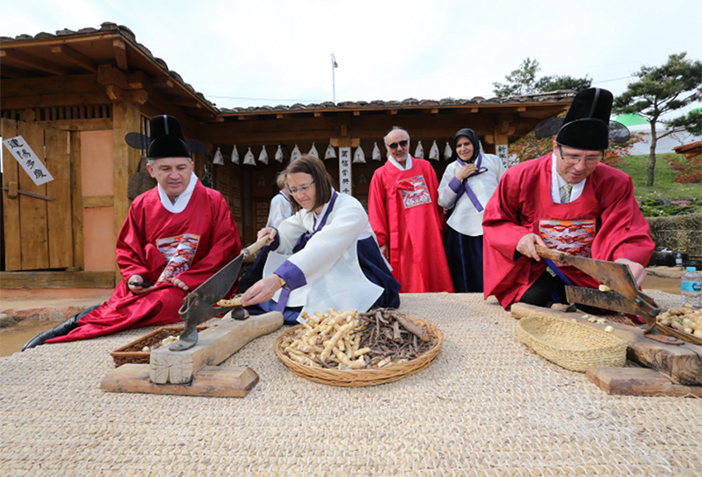 Yeoju Ogok Naru Festival provides visitors with the opportunity to learn more about the region’s representative products, including rice, sweet potatoes, and peanuts. 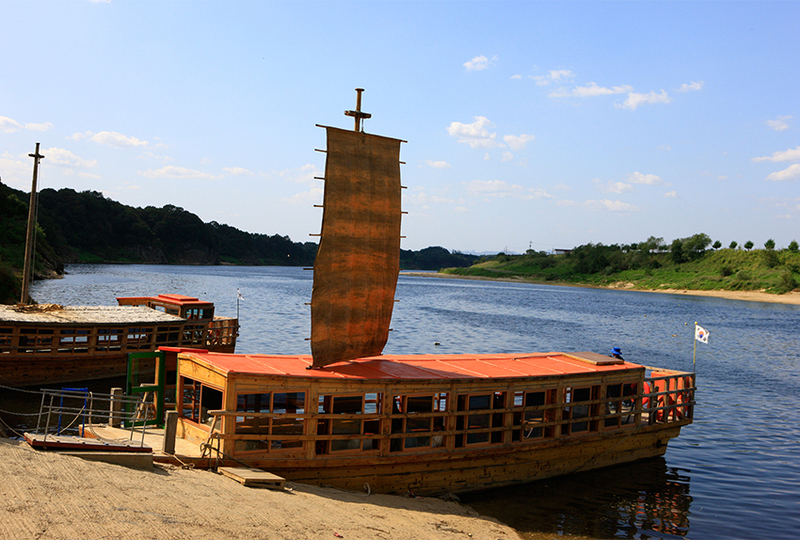 Guests can also take in the scenery of Namhangang River while riding on a hwangpo dotbae (yellow hemp sailboat). Additional events include watching traditional ritual ceremonies and jultagi (traditional Korean tightrope), participating in ssireum tournament, enjoying a concert, and more. 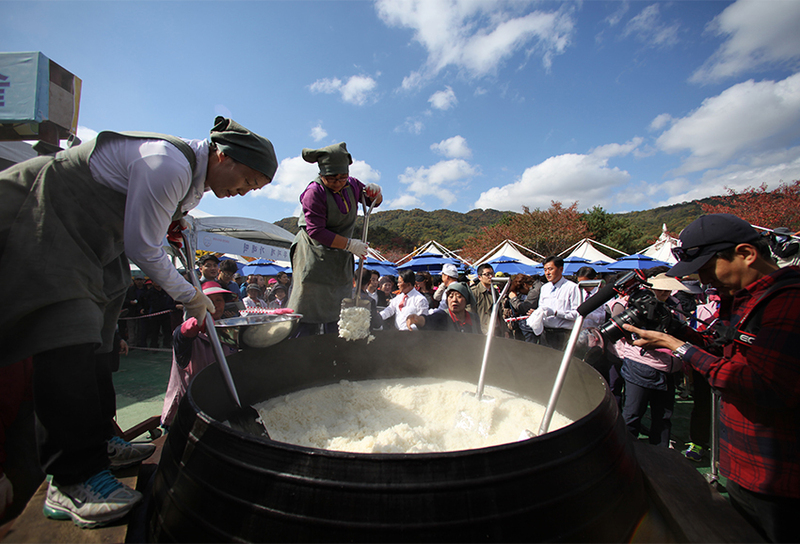 Sunchang, a town famous for its citizens’ longevity and the production of jang (food paste), holds Sunchang Fermented Food Festival every year. Sunchang gochujang (Korean chili paste) has been recognized for its excellent health benefits. 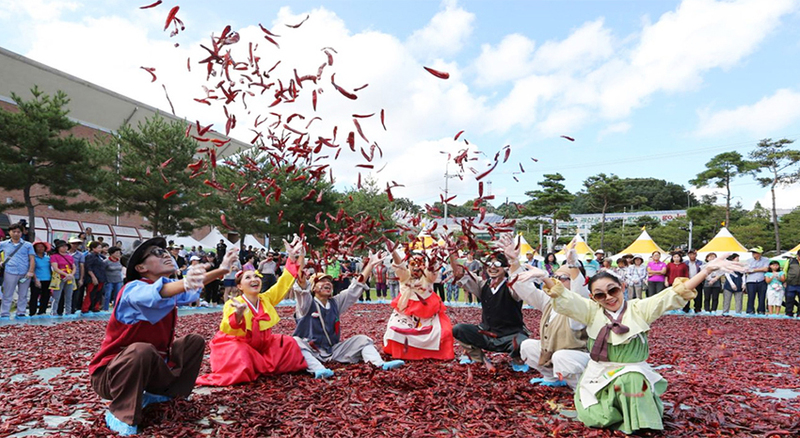 Traditional outdoor performances, percussion performances, cooking with gochujang, and Sunchang gochujang making will take place, as well as a local specialty fair and a Sunchang gochujang cooking competition. 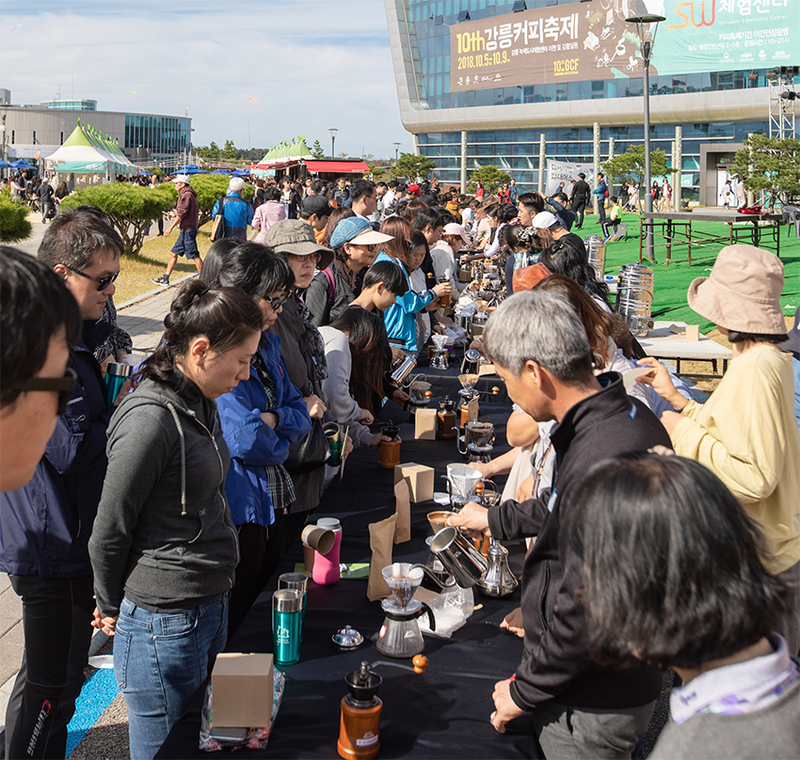 Gangneung Coffee Festival takes place on the streets along Anmok Beach. The area was once famous for being occupied with many coffee vending machines, which is now replaced with lines of cafés and coffee shops, attracting coffee lovers throughout Korea. At the festival, visitors can enjoy coffee through their sense of smell and taste and encounter the diverse culture of coffee from all over the world.